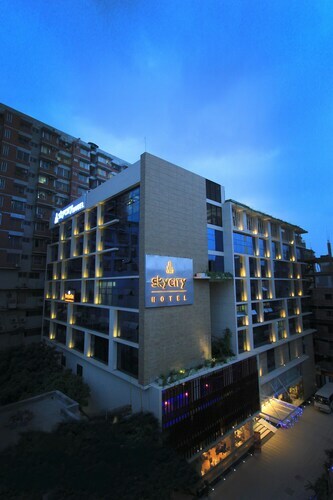 Located in the heart of Dhaka, this luxury hotel is 1.7 mi (2.7 km) from Hatir Jheel and 1.9 mi (3 km) from Jamuna Future Park. Sher-e-Bangla Cricket Stadium and Bashundhara City Mall are also within 6 mi (10 km). 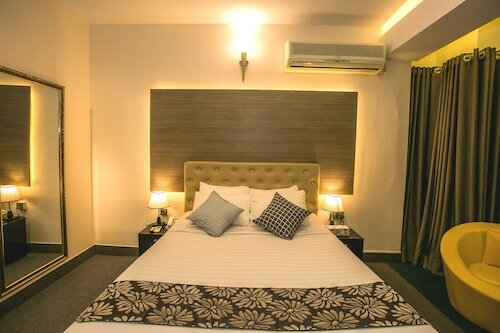 Situated near the airport, this hotel is within 6 mi (10 km) of Jatiyo Sangshad Bhaban, Saat Masjid (Seven Domed Mosque) and University of Dhaka. Curzon Hall and Bangabandhu National Stadium are also within 6 mi (10 km). 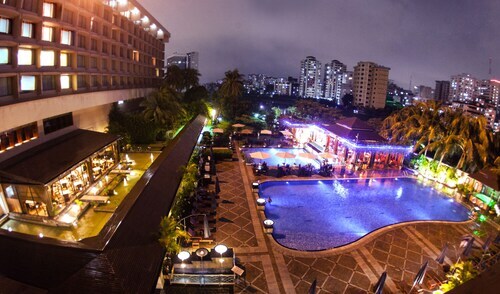 Located in the heart of Dhaka, this luxury hotel is within a 15-minute walk of Bashundhara City Mall and Hatir Jheel. Katabon Mosque and Bangladesh National Museum are also within 1 mile (2 km). Located in the heart of Dhaka, this spa hotel is within 2 mi (3 km) of Ramna Park, Baitul Mukarram and Bangabandhu National Stadium. Bangladesh National Museum and Old High Court Building are also within 2 mi (3 km).